The Currituck-Dare Community Foundation has named Dr. Sheila Davies the new president of the advisory board. 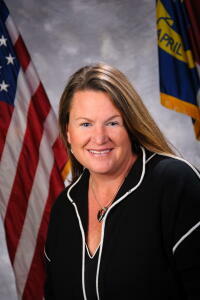 Davies is the director of public health for the Dare County Department of Health and Human Services and the mayor of the Town of Kill Devil Hills. She serves or has served on numerous task forces, committees and boards for organizations including the Outer Banks Family YMCA, the Dare Coalition Against Substance Abuse, the Outer Banks Chamber of Commerce and the Healthy Carolinians of the Outer Banks Partnership. She holds a Ph.D. in public policy and administration, specializing in health policy from Walden University, a master’s of public administration from Walden University and a bachelor’s of science in psychology and kinesiology from the College of William and Mary. "I am honored to be a part of such a rewarding organization as the Currituck Dare Community Foundation which inspires people to make lasting and meaningful contributions to our community,” Davies said. “I am proud to serve as president of the CDCF and grateful for the service of our board members, especially the exceptional service of past president Janet Colegrove."